Yes, this isn't the first time Mario's looked after Kim. At the 2016 Ch.3 anniversary game everyone was on the float and it suddenly braked really hard, which caused people to lose their balance. James Ma was closer to Kim and she even looked at him but he didn't seem to notice or acknowledge her when just a moment before that she was wiping sweat from his face. Whereas Mario immediately reached out for Kim's wrist and pulled her towards him to prevent her from falling (even though she was already holding onto the rail). He's a total sweetheart. Tresor_moi, MKfan132, DaoRisa and 4 others like this. German looking after another German. That's sweet. orchidtea, Anonymous<3, MKfan132 and 3 others like this. est.jpn, asha131097, Anonymous<3 and 4 others like this. That was nice of him. He got my full respect. orchidtea, asha131097, Ele and 1 other person like this. Kim had a photoshoot in traditional Thai dresses for finale wedding magazine. She looked so breathtaking. It would've been great if she and Mario did a couple photoshoot in this theme to promote their lakorn. The styling in this lakorn is more plain and simple so it would've been nice to see OK in expensive Thai wedding attire with better hairstyling and makeup. It would've been so romantic and they would've looked so stunning together. Also, the Bic 3 event is happening tomorrow. OK will attend (hopefully together). Links to watch live are in the caption. I have to decide whether to watch episode 4 live or OK at this event. Ele, Ame and adif like this. LOOK AT THIS DASHING COUPLE!!!!!!!!!!!!!!!!!!!!!!!!! KRIDDDDDDDDDDDDDDD!!!!!!!!!!!!!!!!!! MKfan132, DaoRisa, koadadai and 1 other person like this. I need them in a modern lakorn!!!! They're so stunning all glammed up!!!!!!! Gah!!!!!! MKfan132, DaoRisa and Ame like this. Anonymous<3 and adif like this. That's it? I thought they gonna dance? There's another live later. I believe they're just taking a break to prep. MKfan132, Ele and twister02 like this. oww.. thanks. I've watched the whole live earlier just to see them perform but none. Did they announce the time for the second part of the live? FINNNNNNN MAKKKKKKKKKK!!!!!!!!!! OK was in their own little world! And the BEST PART WAS MARIO HELD KIM'S HAND TO MOVE CLOSER TO THE LEFT!!!!!!!!!!!!! This was during the group picture so they weren't doing any of this for fan service. 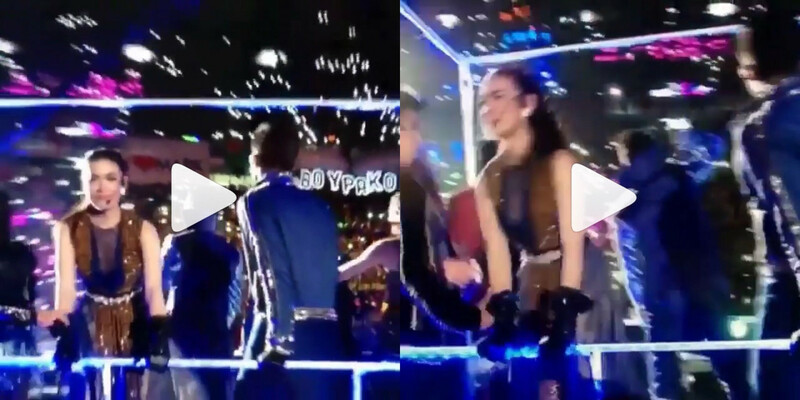 Just their good friendship and Mario being a gentleman as always looking out for Kimmy. KRIDDDDDDDDD!!!!!!!!!!! If they weren't already dating other people, I would ship them together so much!!!!!!!! Chaba and Thong Ek need to get along and be sweet like OK! est.jpn, Ele, Ame and 1 other person like this. i lowkey want to see them with genre the tense will be ..
Ele and Anonymous<3 like this. I know that Thong Ek's "Love" for Pong was just infatuation, but I still ship them. And I still ship Kla and Chaba too. I think that even if Chaba chose Kla, she could still be a strong independent lady because he's known her since childhood. He loves her because of who she is and he wouldn't force her to become someone that she's not. In protecting her, doesn't mean she's completely weak, but they could protect each other. And yet saying so, I do still ship Chaba and Thong Ek because they had some cute scenes too. I would actually love for Kimmy's next P'ek to be Punjan. I have already wanted to see them as pranang long way before this though. If only it could happen. est.jpn, KitKat516, Ele and 1 other person like this.